I'm happy to tell you that is quite hot in my city, yesterday I went to school without coat...wooow! 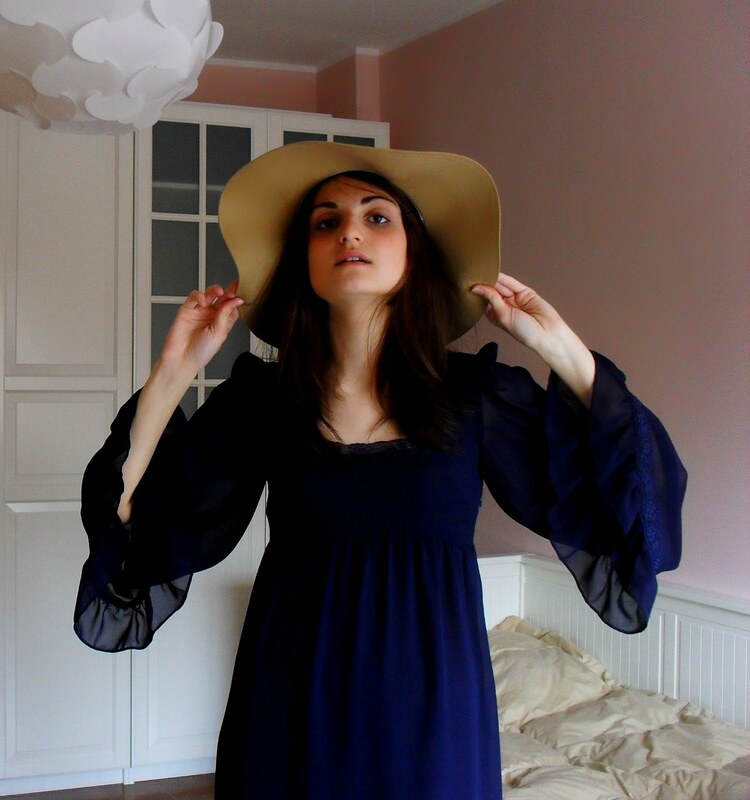 Thigts are from H&M and my hat is from a vintage shop wich is in my city! Recalls:You can ask me anything, leave a comment and I'll answer you as soon as possible;)! Thank you for a nice comment ! beautiful dress and beautiful hat!!! Thanks for your comment, I love this post, your dress is cute! Well, it's not getting warmer here, but I have faith!! i love love these high socks with these shoes! This Outfit is so lovely and the Hat fits you so good! Amazing dress! I really love it! I really like your dress! and the socks...very lovely! LOVE your bed!! Outfit is adorable as well! Thanks for your comment on my blog - following you now! waauw love the head, cute dress! Stop by toppedoffwitharedhat.blogspot.com to enter best dressed for March! the sleeves are just amazing! Loving your hat and dress! love the outfit!thumbs up 4 the hat! i checked out your blog to find it amazing!love your sense of style! i am following!would love it if you came by my blog and i could see u on my list! The stockings and the dress rock! I absolutely love your dress. thanks for your comment! I'm having a jewelery giveaway right now if you'd like to enter! What wonderful sleeves!! So totally cute on you. your poses are the best ever. And I love the deep colour. I love clothes from Topshop! Beautiful dress! You look very beautiful! Great stzle....amazing and lovely dress!